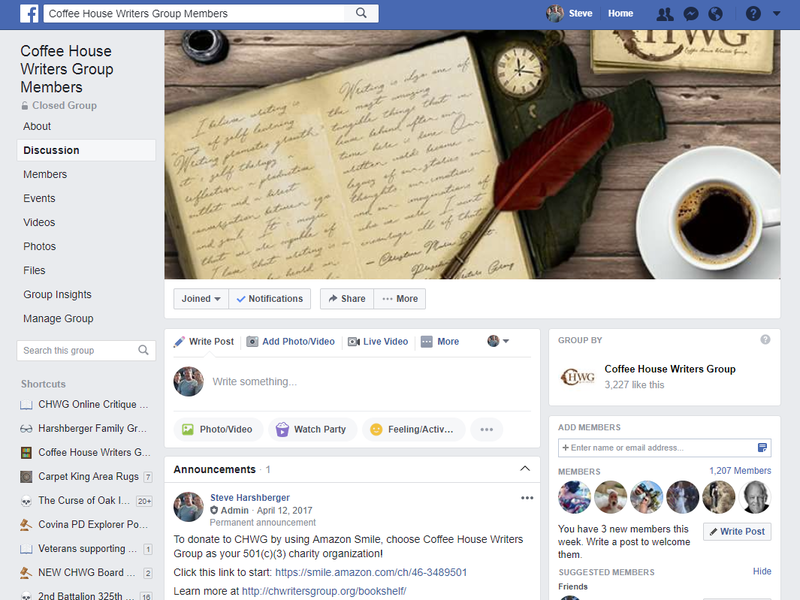 We have a private writing community group on Facebook created just for the Virtual Chapter of the Coffee House Writers Group, so if you want to join this group, just ask us! Coffee House Writers Group exists to encourage & support writers by providing critique groups, workshops & networking in a safe & positive environment. Please feel free to network, connect and promote you and your work. We are all here to support one another. Join in on conversations and comment on posts you like. Share writing stuff and writing events you know other writers will appreciate.